First calf born on the farm–two days old. 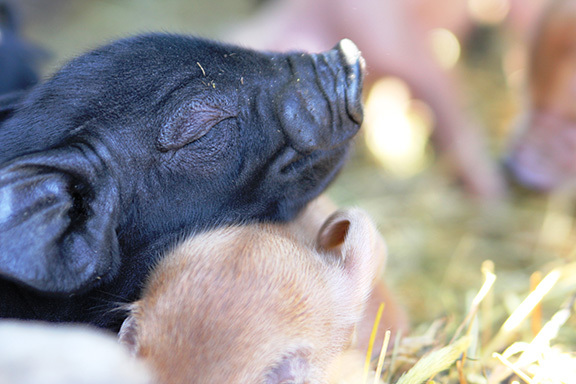 Sleepy piglets, about 18 hours old. 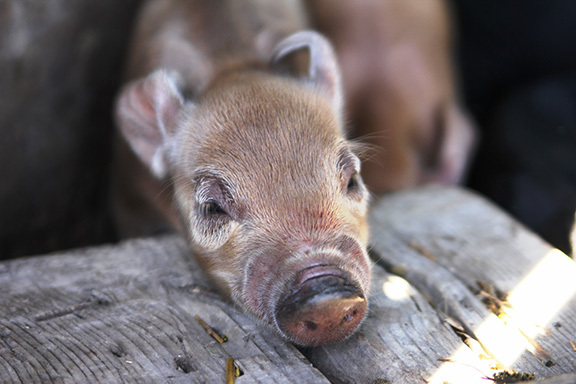 The daddy pig was a Duroc, which is a red breed. 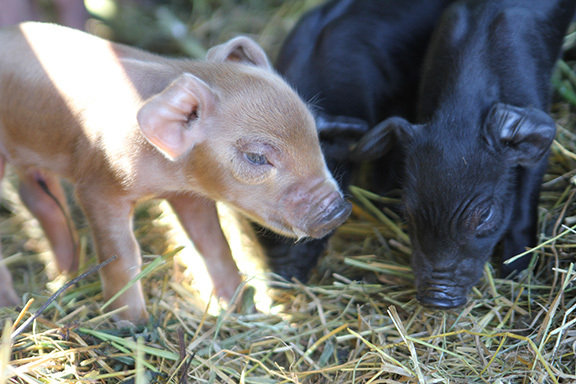 This is one of Millie’s piglets, which are all pure red or pure black. 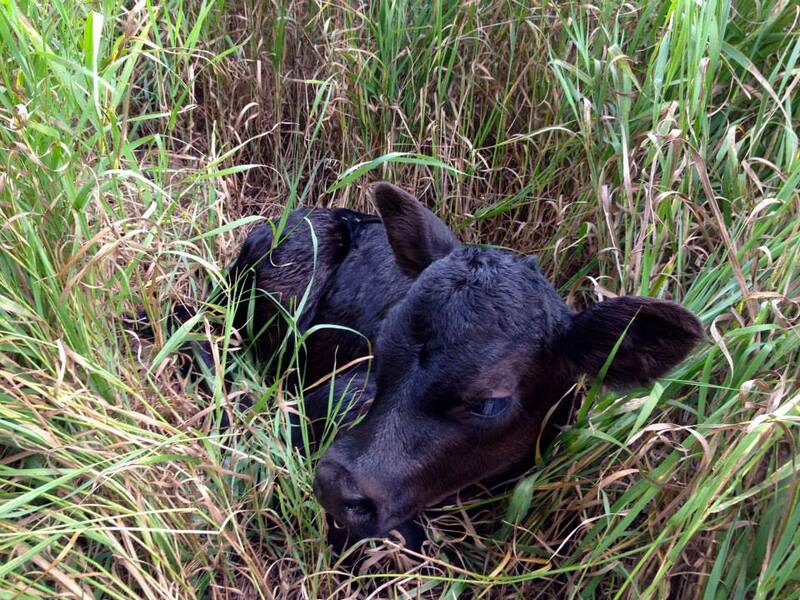 Mama Dot, resting and nursing. 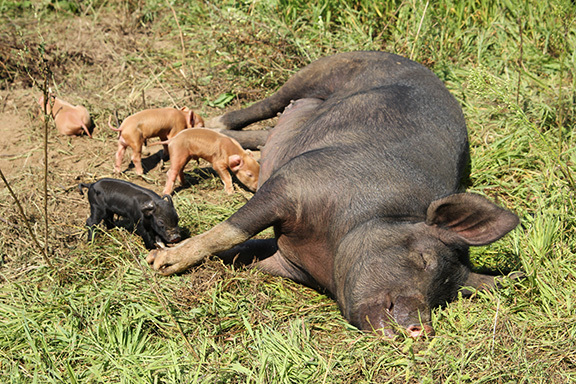 Dot’s piglets are pure red or black with some white markings, just like their mom. Note the white dot on her forehead.